One of the hardest things to do is to review your favourite artists’ albums. You receive their newest work weeks before it is released and that rocks. On the other hand, trying to be objective can be a daunting task. What you think could have been better versus the things you want to praise more than you should is an issue. 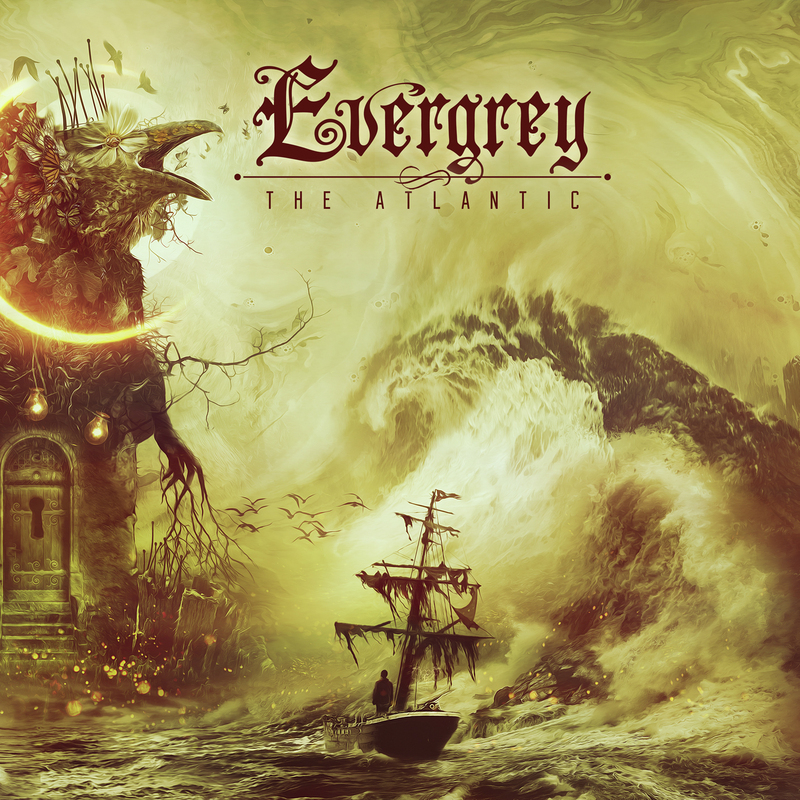 When The Atlantic, Evergrey’s latest was announced, I was psyched. When the boss sent it my way, that was pure elation. I had my reservations, as I wasn’t a huge fan of the previous album, The Storm Within. But then, I was also hopeful, as I believe their 2014 release, Hymns for the Broken was/is a masterpiece. Before we go any further, I must remind you that personal tastes are… personal. I am a huge Evergrey fan, and I even had the chance to work with Tom Englund on one my albums. That said, I tried to be as objective with this review as possible. And then, I started noticing the downsides. Evergrey has almost always delivered great chorus sections. From “The Masterplan” to “Recreation Day”, from “A Touch of Blessing” to “Lost to Wrong”. The songs first hit with their punch and the chorus parts. The details, you discovered as you gave the discs more spins, which made you appreciate the art even further. Not with The Atlantic. The album suffers from a very “unlike Evergrey” situation of bland chorus sections. The songs generally build up good to a climax, and then that climax turns into a letdown. Only two songs; “Currents”, and “Departure” are over this mediocrity threshold, and they shine. Both songs have great composition, infrastructure, progression, and memorable moments. Together with the instrumental intro-ish track, “The Tidal” – which has a great Muse-ish, Blade Runner-esque tone – these two are the album’s high points. The album suffers from pacing issues within the songs. “The Silent Arc” is one such track. The first single of the album, as well as the opener; the song starts with an epic punch: great groove, technicality, tempo and performance. Then the chorus hits. All well and good, but the chorus starts to drag, losing the momentum the song created due to the extended low-tempo structure. Then the song catches up, creating variation with the under-solo section. Then the long chorus comes again with the downing vibe. This is why reviews are personal, no matter how much experience you have in music journalism. For some, this song has five different feelings told at once and it is a journey. For me, it is not. It is not about the length, or the changes in tempo. It is the flow. I am not saying it is bad, but it disrupts the flow, and that is what makes it problematic. As the album progresses, the songs become more varied, but by then, the listener is already halfway critical about the disc. If you are an Evergrey fan, spin the whole disc and make your judgment. If you are new to Evergrey, don’t start from this album, but start from the classics like The Inner Circle, In Search of Truth, or Recreation Day. If you want to listen to their best work, then go with The Inner Circle, Hymns for the Broken, and the rest. For this album, you can check the singles “The Silent Arc” and “Weightless”, near to the two high points of the album: “Currents” and Departure”. You will particularly like the shining bass on these songs, and the cool clean guitar usage on “Departure”. The “resurrected” Evergrey’s best work is still Hymns For the Broken in my book. That album flows, and rather than repetition, the songs give a feeling of unison. Great keyboard passages and perfectly tailored chorus parts play a key role. The Atlantic is better than the previous effort, The Storm Within, but it still is not on the same level with the 2014’s Hymns for the Broken.